The eBee is probably the least intimidating system. It is almost a true turnkey system – you just provide a laptop for ground control station and PC for data processing software. It is a compact, lightweight (0.7kg) flying wing design which is hand launched. All packaged up, the case is small enough to be classed as carry-on baggage. There is a few payload options including the typical Canon S110, but more interestingly the Airinov Multispec 4C is also available (read here). The included processing software is top notch as it is based on Pix4D. The Precision Hawk Lancaster platform uses a traditional fixed wing design. Two processors running Linux handle flight management and any other in flight processes such as real time data assessment. The platform is easily hand launched and weighs about 1.4kg not including the payload. Precision Hawk offer several sensors ranging from the humble Canon S series camera through to many of the Tetracam options and can also carry Thermal, Lidar and Hyperspectral equipment. To Precision Hawk, the Lancaster platform is just a small part of the workflow. Data processing and sharing is an even bigger part of their business. They offer Precision Mapper, a cloud based system which allows raw data from any UAS to be uploaded, processed and shared. 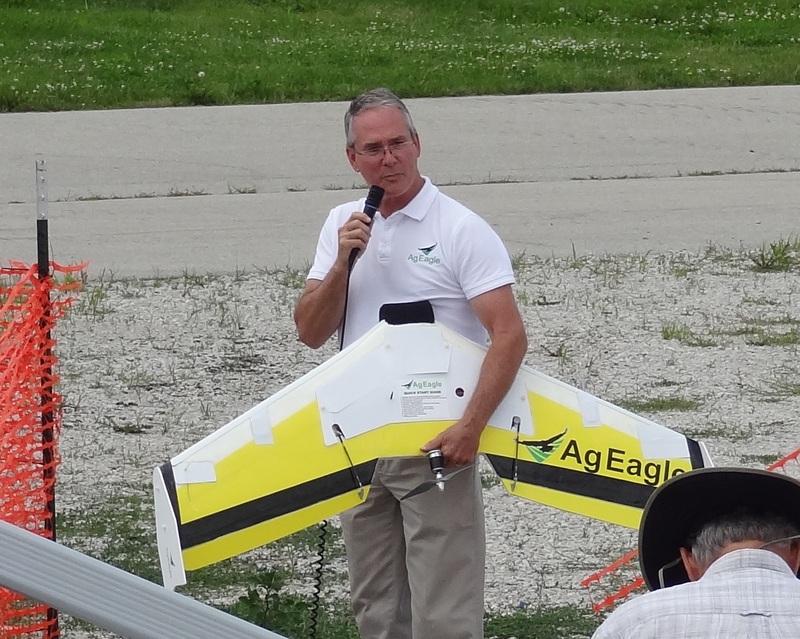 The Vireo is marketed as a tool to provide high quality data for the online farm management platform WingScan. In its own right it is a still a UAS worth looking at. It is a sort of hybrid flying wing cross traditional plane but does not have any control surfaces on the tail. It is hand launched and weighs 1.4kg total. The whole system including laptop packs into a provided travel case. They claim it can fly for an hour or more. The Vireo does not use a modified point and shoot, instead a dual-imager sensor payload which captures NIR and Visual (RGB) in a single pass at 10MP. You can go onto the Fourth Wing online store to price their products. They sell the dual-imager sensor separately. The Lynx is the largest of all the UAS mentioned here and also the system you would part with the least cash for. It weighs in at about 4.5kg, but is still hand launched. The Lynx will fly comfortably for 90 minutes. The plane is controlled by an APM 2.6 but has the ability to completely isolate itself from the autopilot as well for full manual control. Despite the in flight size of this system it packs down into a single case. Swift Radio Planes have developed a roll stabilised camera mount with sensor options from Sony, Canon and Tetracam. 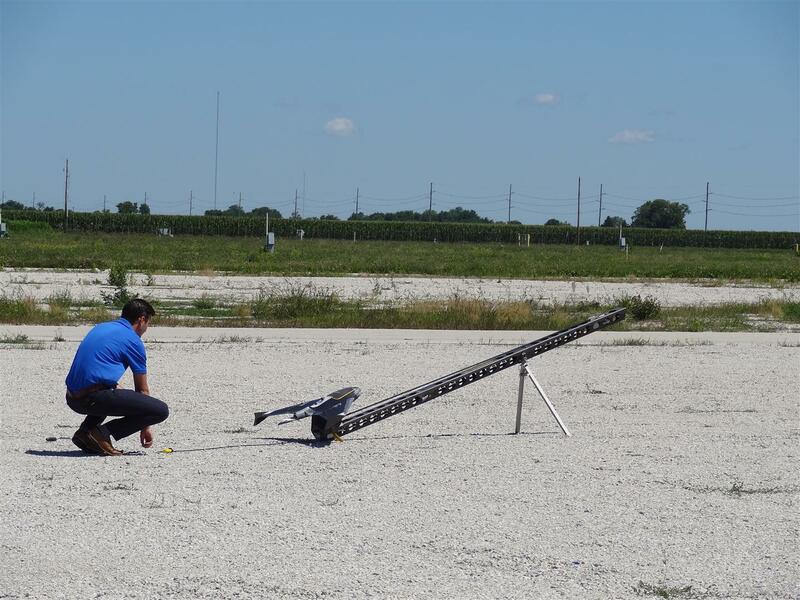 AgEagle’s UAS is a flying wing that is launched from a slingshot style launcher to ensure consistent take-off every time. They pride themselves on a system that is tough in design, built especially for agriculture. It comes standard with a modified Canon camera, but soon available with true multispectral camera. AgEagle supply Agisoft Photoscan Standard and AgPixel in the standard package to process imagery. Most people would recognise the brand Trimble as they are well established in the surveying and precision agriculture market place. 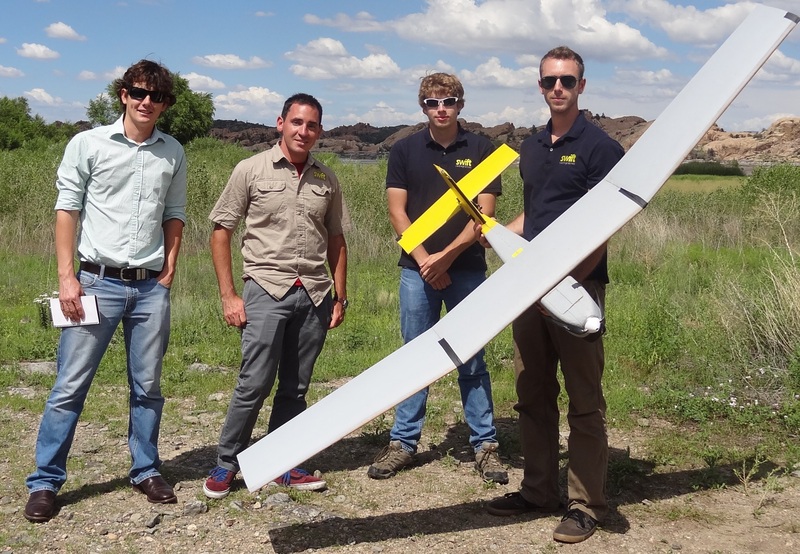 Trimble offer the UX5 UAS, which is a flying wing design weighing in at 2.5kg, made from EPP foam and carbon fiber and is and catapult launched. At the time I looked at the system they offered both standard and modified versions of a Sony mirrorless 16MP point and shoot camera. The systems comes with a rugged handheld computer for the ground control station. Trimble provide their own software for data processing which is a Photogrammetry Module for their Trimble Business Center Office Suite. This integrates with existing surveying processes but the link to Trimble’s ag products does not seem as complete (yet!). Event38 and 3DR are separate companies but use similar components. They offer a much cheaper solution that is capable of performing many of the functions of the above UAS. The reality is that they do take some more learning to become familiar with their operation, but as far as value for money is concerned these are good products. Agribotix are worth a mention. They build a UAS based on similar technology to Event38 / 3DR, so it can be built in house quickly and cheaply. They believe that too much attention is given to the flying machines and not enough to application of the data. Agribotix offer a drone lease structure where the UAS is essentially free to use and the cloud based data processing is what incurs a fee – therefore minimal capital outlay to get UAS up and running. A truly unique model. These are just some of the small UAS systems available on the market now. I have not included prices as they are always changing and each product is generally packaged up differently (e.g. processing software included or not). The alternative is to build your own UAS, read about my experiences here.